Psyonix’s smash hit soccer-with-cars game Rocket League has been available on PC, PlayStation 4 and Xbox One for a good while by now, but is it likely we’ll ever see a release on Nintendo Switch? Given how easily accessible the title is and the bite-sized nature of any given match, its presence on Nintendo’s hybrid console could well prove to be a popular choice for those taking full advantage of its ability to be a mobile gaming platform, but it appears the developer is, for now at least, holding off on giving a potential port the go-ahead. 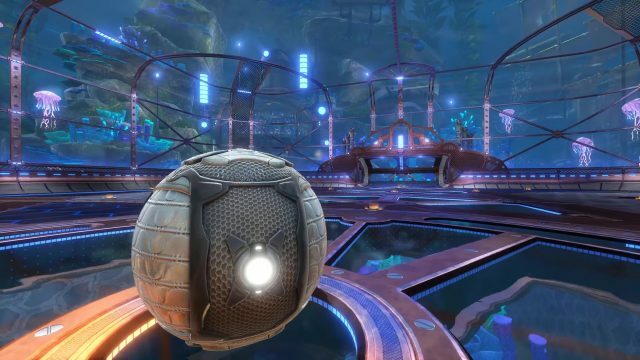 Speaking to IGN, Psyonix’s vice president Jeremy Dunham told the site that it’s currently “evaluating” whether or not a Switch version of Rocket League would be a viable route to pursue, citing fan demand and technical hurdles as potential roadblocks. Just like all the other platforms, we are evaluating it. We’re looking to see what the technical requirements are. We’re looking to see what kind of true community demand there is. We’re looking to see how it would benefit the community as a whole. So we’re still in that evaluation phase. It’s definitely too early to say that it wouldn’t happen, but it’s also definitely too early to say that it would. Given Dunham’s comments, it certainly sounds as if Psyonix has yet to definitively decide if a further platform release is worth the additional development time, but clear interest (or lack thereof) from the fanbase could help to sway its decision in either direction. Considering its current track record, though, Rocket League on Switch could prove to be a huge boost in third-party support for the console, what with the title having been the most downloaded game of last year on Sony’s PlayStation Store. Psyonix is just the latest developer to be quizzed over its intention to support the Switch. Just recently, Overwatch game director Jeff Kaplan said that bringing Blizzard’s shooter to the platform would be “very challenging” for the developer, but didn’t rule it out entirely. Tell us, would you be one of the first in line to pick up a Switch version of Rocket League if this were to happen? Sound off below!